The Tunto Led 2 is a floor lamp by the designer Mikko Kärkkäinen, which elegantly illuminates the modern living room as well as object areas. The lamp consists of a tall wooden body that is available in various wood species and colours. The Tunto light in the Scandinavian design is made in elaborate handicraft in the Finnish Järvenpää. A floor lamp next to the sofa, dining table, etc. 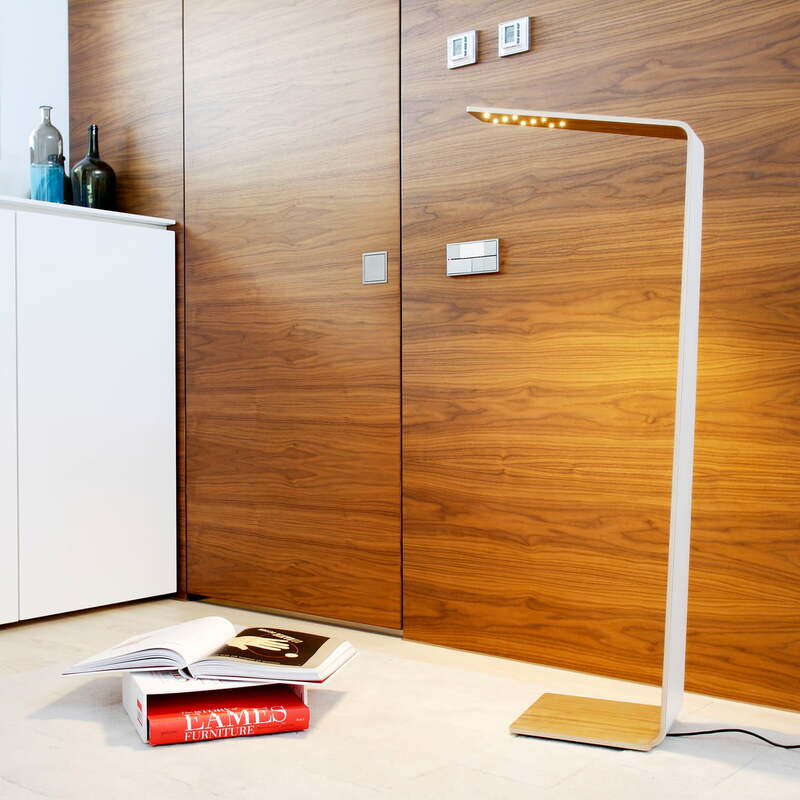 The Led 2 floor lamp has a wide base, which seamlessly passes into a high side wall and then becomes a long lampshade. There are no edges or corners and the lamp seems to be made from a single piece of wood. The lamp consists of oak, birch or walnut wood. Alternatively, the outside of the lamp is also available in 11 different colour variations. The Tunto lamp adapts to every taste, whether it's understated, classic, flashy or playful. Thanks to its pleasant height, the Tunto floor lamp is especially suitable as a companion for the living room: next to the sofa, armchair or dining table. The Led 2 Tunto living room lamp is equipped with a touch-sensitive switch to intuitively operate the different brightness settings of the lamp. Thus, the light can be regulated with just one hand if necessary. Nine cut-outs in the top of the lamp make room for the LED lamps that radiate a warm white light. With a low wattage, the light is energy-saving and the bulbs are to have a long life with a high durability. The floor lamp by designer and company founder Mikko Kärkkäinen has already been awareded with several design awards, like the Red Dot and Good Design Award. 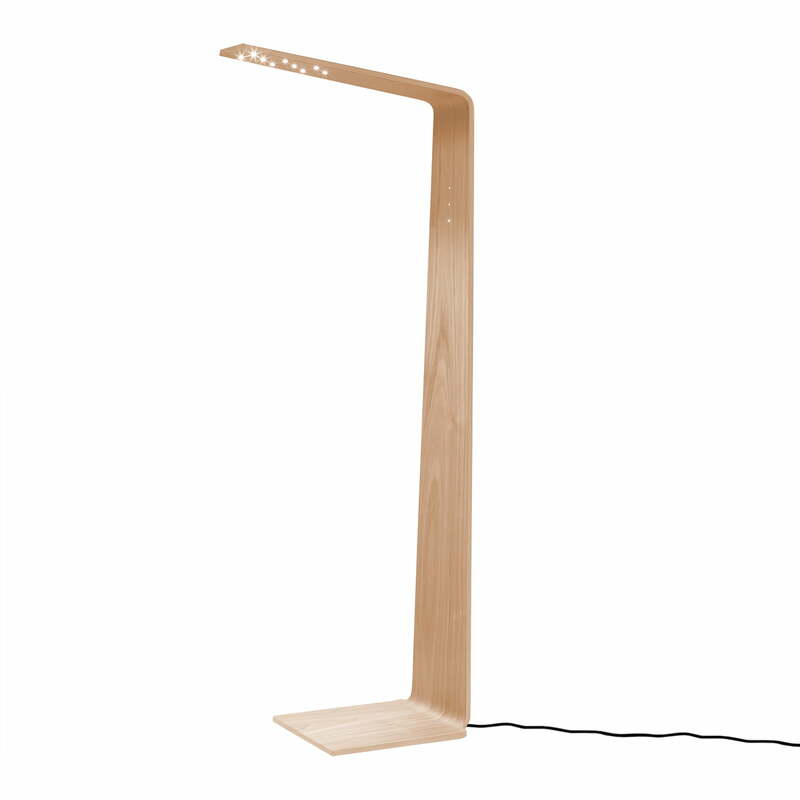 The Led 2 floor lamp by Mikko Kärkkäinen is available in three different types of wood: oak, birch or walnut, as well as in a wide range of different, coloured finishes. The version of the Led 2 floor lamp by Tunto in natural oak has a broad base and a long light arm. The lamps are manufactured in Järvenpää, near Helsinki. The Led 2 floor lamp by Mikko Kärkkäinen for the Finnish company Tunto is painted in black. 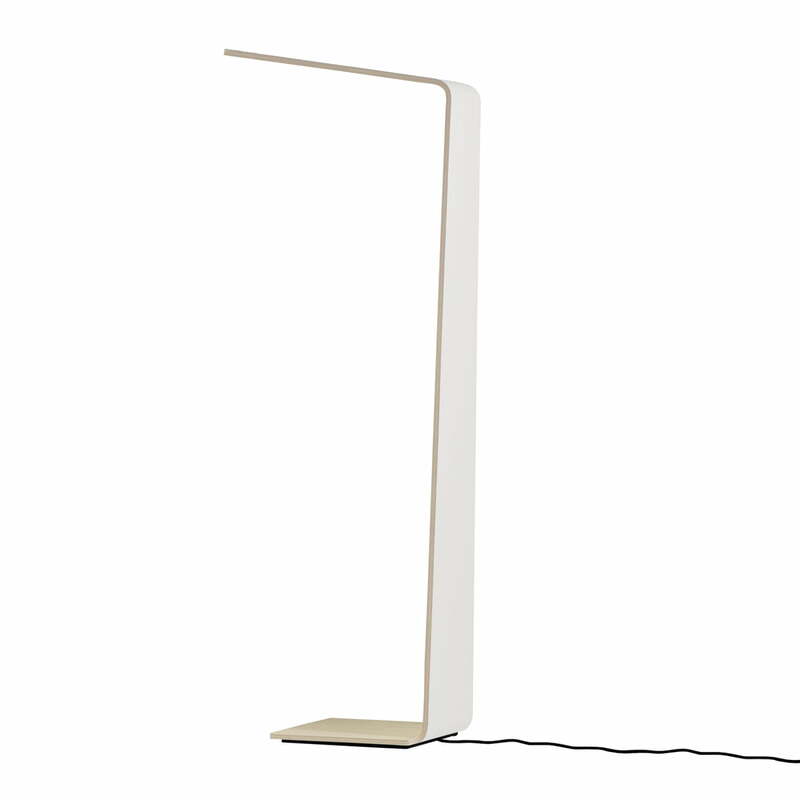 Also, the floor lamp manufactured in Finland has a 180 cm long cable. 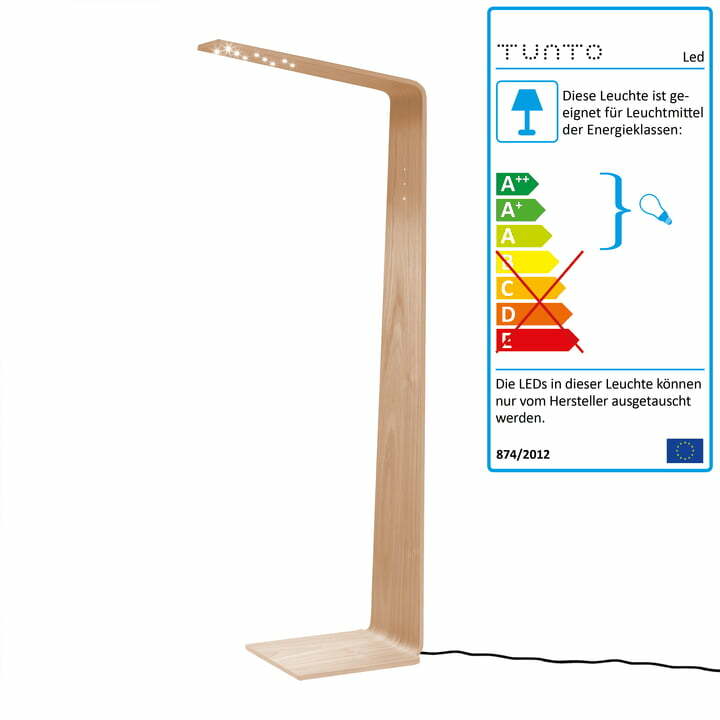 The rear view of the 2 Led floor lamp from the Finnish manufacturer Tunto. The light was designed by Mikko Kärkkäinen and is produced close to Helsinki. Sinlge image of the Led 2 floor lamp by Mikko Kärkkäinen for Tunto made from wood, painted in white. The lamp is produced in elaborate handicraft in Finland. The rear view of 2 led floor lamp by Tunto shows the outsides of the in a bright orange, the inside remains in the natural wood colour. Tunto is a Finnish manufacturer based near Helsinki. Single image of the 2 Led floor lamp from the Finnish manufacturer Tunto of whose outside is painted in a bright yellow. 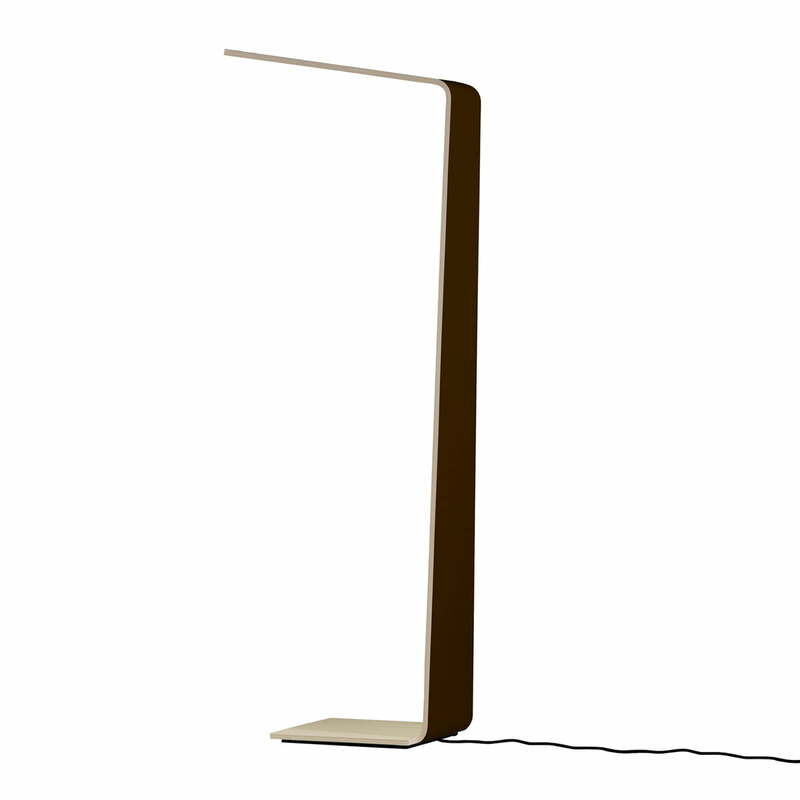 The floor lamp has a 180 cm long cable. The rear view of the Led 2 floor lamp by the Finn Mikko Kärkkäinen for the Finnish manufacturer Tunto shows the pink painted outside of the lamp made of wood. 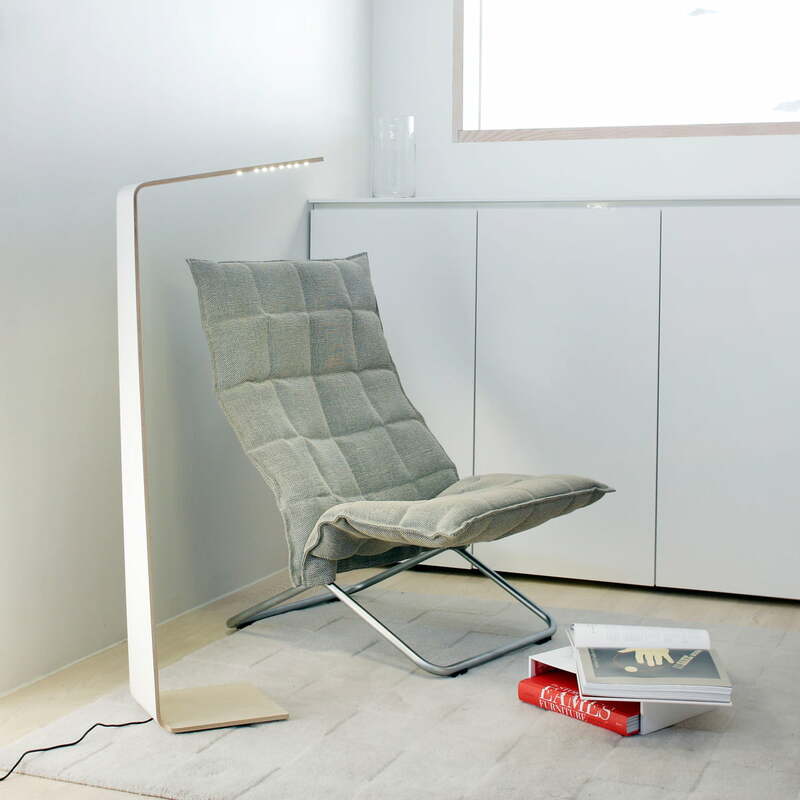 The Led 2 floor lamp is perfectly suited to provide light above upholstered furniture. The warm-white light invites you to linger and read on the couch. 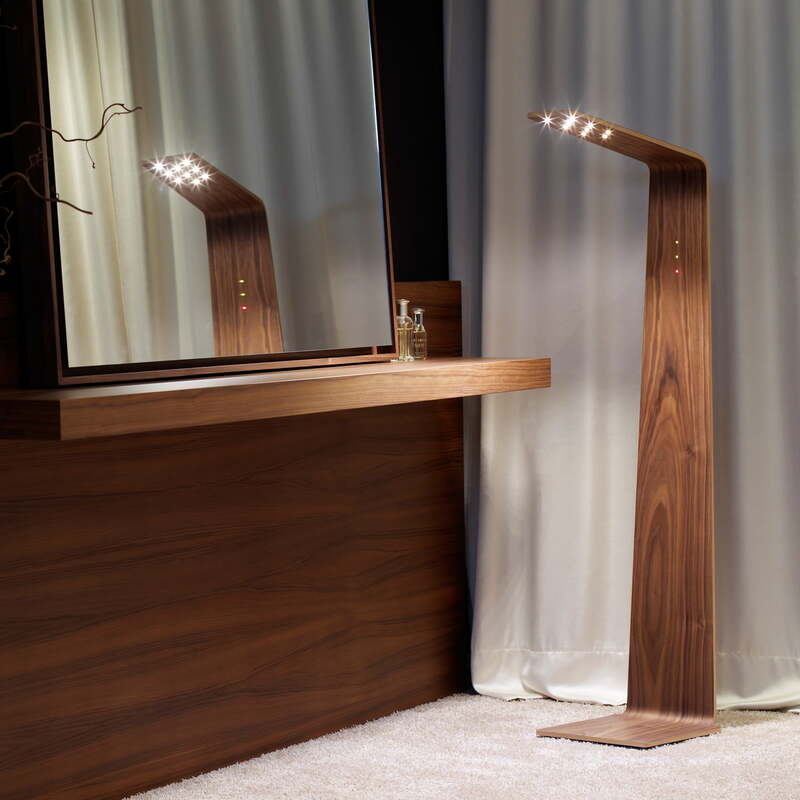 Free-standing, the Led 2 floor lamp by Tunto unfolds its full design. It is as timeless and classy, there is no need to illuminate anything in particular in the room. The height of the floor lamp Led 2 by Tunto is perfect to illuminate the top of the table. Chests of drawers or shelves in similar height are lit as well.